The French broadcaster TF2 has put a lot of effort to host three live shows, two Semi Finals and one Grand Final on a Saturday night to determine the French entry for Tel Aviv. There were quite good entries among all the songs. At the end the young singer Bilan could win with very high points from televoting, this due to his big fan base, his YouTube videos are being watched more than 2 million times. Bilal was born in Paris in 1999. He has Moroccan roots has started singing at the age of five, soon he took singing lessons. His idols were Freddie Mercury, David Bowie, Michael Jackson, Mariah Carey and Whitney Houston. In 2015 he took part in The Voice Kids with Conchita Wurst’s song “Rise Like A Phoenix”. In 2017 he finished school with the Baccalauréat in literature and philosophy. The French entry “Roy” has been written by last year’s French representatives Madame Monsieur. It’s a mix of a classic chanson and urban pop. The striking look of Bilal underlines his otherness and uniqueness. That’s also a reason why Bilal has been receiving many bad critics mainly because of his homosexuality and Moroccan heritage. The song is probably not the strongest French songs in recent history, but this background of Bilal it’s a touching story. France belongs to the founding members of the Eurovision Song Contest from the first year 1956. This year in Lisbon is going to be the 63rd time for France! France has withdrawn in 1974 and 1982. Nevertheless there were five winning songs, six second places and seven third places, unfortunately the biggest successes can be found in the 50’s, 60’s and 70’s. In the last 30 years France struggled with good placings, this is due to the increasing amount of participating countries and the televoting and sometimes it’s due to the bad choice for the right entry by the French broadcaster. In the last two years the trend looks quite good as a 6th and a 12th rank could be achieved. A Top10 position France could be achieved 38 times within six decades, so approximate chance to get a good placement overall is about 60%. France is famous for its chansons and ballads, but also French pop tunes have been presented lately like “Divine” by Sébastian Tellier (19th rank in 2008) and “Allez Olla Olé” by Jessy Matador (12th rank in 2010) which have been found in the international charts as well. Here France was on the right way to success. Even with big names like Patricia Kaas, Natasha St. Pierre or Patrick Fiori could not bring another victory for France, but at least some respectable placings and international attention. In 1977 Marie Myriam convinced the juries with “L'oiseau Et L'enfant”, this was the last big victory in Eurovision, and that’s more than 30 years ago! As France belongs to the Big 5 countries, it is set automatically for the final like Germany, UK, Spain and Italy. 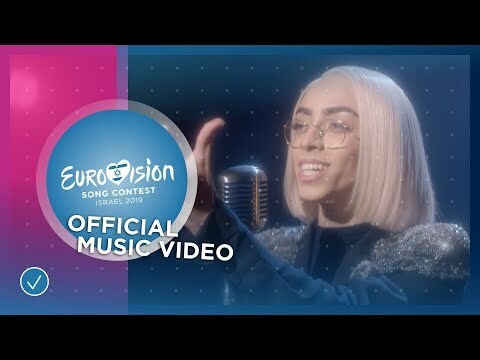 Last year’s big hope Madame Monsieur with the song “Mercy” only came 13th.